Blogging and evangelizing about data quality is a fairly lonely trade. Hopefully it is not because it is not a good cause. And I don’t think so. Also this week I followed another good cause not getting much attention. After the disaster with the oil spill in the Gulf of Mexico Greenpeace launched an operation aimed at getting attention to the probably even more dangerous deep water drilling in the fragile Arctic environment. The ship Esperanza sailed to the Baffin Bay, launched inflatables with 4 climbers who hanged in under an oil rig in 40 hours in the blistering cold wind while practically no one cared. Oh yes, there were live tweeting from the ship on the @gp_espy account – followed by 1,500 tweeps world-wide, including yours truly. 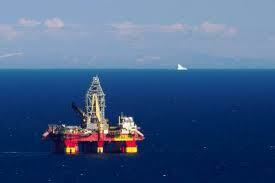 Surely, a few articles was written by the press – mainly in Britain where the drilling company Cairn Energy belong and in Denmark because the waters belongs to Greenland/Kingdom of Denmark. But I guess Greenpeace must be pretty disappointed with the overall attention. I guess they chose the wrong right place (platform you might say). Not much press in the Baffin Bay. And hey, I guess I chose the wrong time for publishing this post (based on my reader demographics as I know it). No one is online in the Pacifics now, it’s early Saturday morning in Europe and it’s the night before a 3 day weekend in the United States. Can’t speak the rest of the states but Greenpeace doesn;t get alot of press here in Texas. 1sttime0ffender, thanks for the Texas report. It must be disheartening sometimes to have little response to such important topics, and both data quality and deep water drilling seem inherently to be important topics that only get world attention when something goes disastrously wrong. I hope you can keep up the steady drip of attention that will eventually wear through the world’s ADHD. Gordon, thanks for commenting. Yep, frustrating that something has to go completely wrong before getting attention.